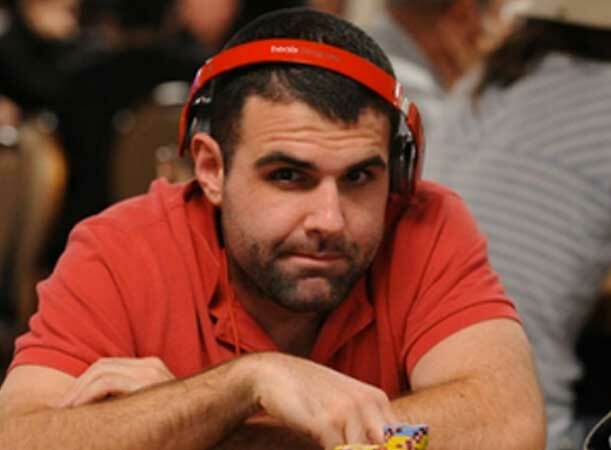 Long-time, well-known online grinder Jonathan ‘apestyles’ Van Fleet outlasted the field of 1,047 runners in the partypoker MILLIONS Online $5,000,000 guaranteed to become the first ever MILLIONS champion and, more importantly, collect a career-high seven-figure score of $1,027,000. Four starting flights helped the tournament generate a prize pool of $5,135,000 and at the end of all of all the Day 1’s, 272 runners took their spots for Day 2. With 104 players making the money, a number of top-tier pros bowed out before reaching payday including partypoker Team Pros Sam ‘SamTrickett’ Trickett (132nd) and the Worldwide #4-ranked online player Joao ‘joaosimaobh’ Simao (142nd), according to the partypoker blog. When Day 2 ended only 25 players were still in the hunt for the million dollar first-place payday, but Van Fleet, Playing under the screen name ‘sordykrd’ on partypoker, was short on chips, outside of the final table bubble but looking to make moves. It took roughly two hours into Day 3 for the official final table to be reached. Along the way, a number of superstar online players fell by the way side including Finland’s #1 All-Time Money Leader Juha ‘JHelppi’ Helppi who busted in 13th for $48,782 and one of the most popular high-stakes online regs Viktor ‘Isildur1’ Blom who finished in tenth, for $59,052. Just outside of the final table would be James ‘ballcupper’ Lee who ended his run in ninth place for $59,052 making way for the final eight to battle it out. Van Fleet started the final table near the bottom of the chips counts but after ‘IN INFINITY’ busted in eighth. Van Fleet found a double though Ludovic ‘FilthyTrousers’ Geilich. That was a crucial blow to Geilich who finished in seventh place for the first of the six-figure paydays of $104,754. ‘BOOMALOOM_’ was the next to fall collecting $148,915, followed by ‘karamazovbros’ who pulled in $207,968 for his fifth place finish. ‘LendaMerienda’ busted in fourth after running into the pocket queens of ’N0-IPTRI4I2I’ who had busted the past three players and held a massive chip advantage. Van Fleet, one of the most experienced online players with a career spanning well over a decade and a lifetime earnings of over $8 million prior to this tournament, was able to spin up his stack so that when he took out ‘SandwichBacon’ in third place for $435,448, he held the chip lead headed into heads-up play. Finally, Van Fleet sealed the victory and finished off ’N0-IPTRI4I2I’, who will no doubt be comforted by his $651,118 runner-up prize. The victory gives Van Fleet yet another marquee title to go along with his previous WCOOP and FTOPS titles. With the over $1 million payday, Van Fleet will by just shy of $9.5 million in lifetime earnings.